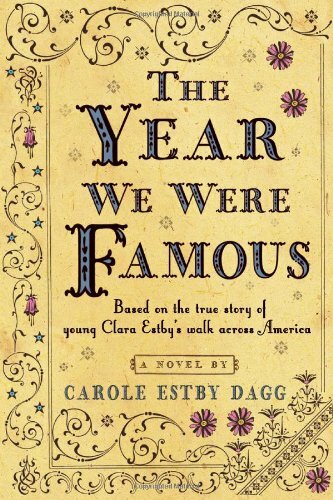 Summary: With their family home facing foreclosure, seventeen-year-old Clara Estby and her mother, Helga, need to raise a lot of money fast—no easy feat for two women in 1896. Helga wants to tackle the problem with her usual loud and flashy style, while Clara favors a less showy approach. Together they come up with a plan to walk the 4,600 miles from Mica Creek, Washington, to New York City—and if they can do it in only seven months, a publisher has agreed to give them $10,000. Based on the true story of the author’s great-aunt and great-grandmother, this is a fast-paced historical adventure that sets the drama of Around the World in Eighty Days against an American backdrop during the time of the suffragist movement, the 1896 presidential campaign, and the changing perception of “a woman’s place” in society. Leave A Comment With A Way To Contact You To Enter!!! Sounds interesting. Thanks for the chance to win it! This is a book I've been wanting to read! Never heard of this before but it sounds like something I would enjoy and could share with my historical-loving family members too! Been on my to-read list 4 EVER!! This sounds fun! I really need to read more historical. I've heard about this one. Sounds exciting! Thanks! I love the cover. Thanks! !